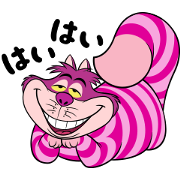 The Disney × LINE February member exclusive is the one and only Cheshire Cat from Alice in Wonderland! 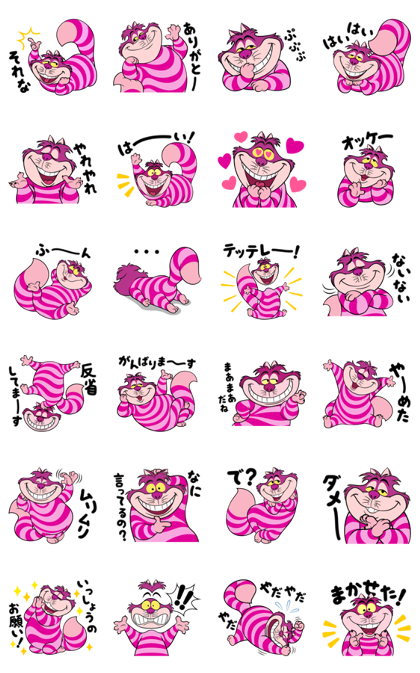 Add a little mischievous playfulness to your chats with these stickers from the always-smiling Cheshire Cat. You can use these stickers as long as you remain a full Disney × LINE member.